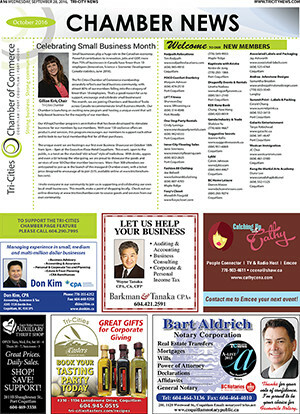 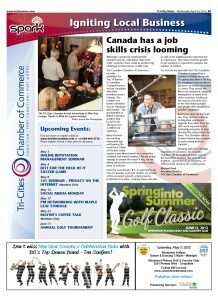 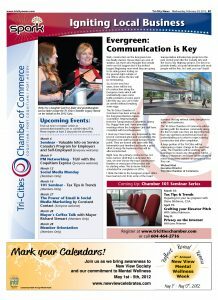 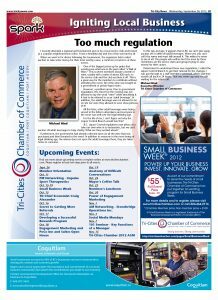 Chamber News is our monthly newsletter published in the Tri-City News on the last Wednesday of every month. 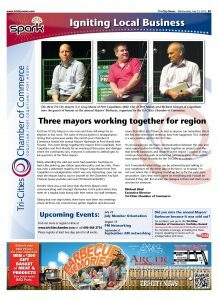 Members are eligible to take advantage of the free promotion offered through the Chamber News as a Feature Member or by submitting an Expert Article. 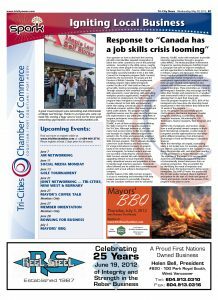 Elevate your brand by purchasing an ad in the Chamber section, showing the Tri-Cities community that you support your local economy. 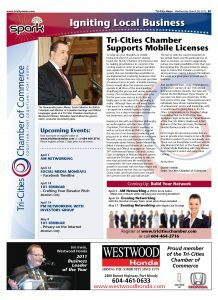 for and cost-effective advertising options in the Chamber News.